As the Sun's total eclipse across North America tonight is on every ones lips our Sun popped off a surprise of it's own yesterday with a M1.1 class flare, the biggest solar flare in more than a month. 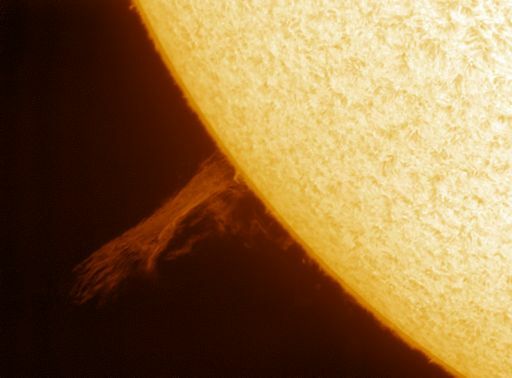 Photo Dave Eagle The M-class flare came from sunspot region 2672 which is out on the Sun's eastern limb. On the 27th of June, NASA announced a new Solar Minimum was coming, every 11 years sunpsots fade away, this event is called a Solar Minimum and this is happening now with 2019, 2020, expected to be the the quietest period. 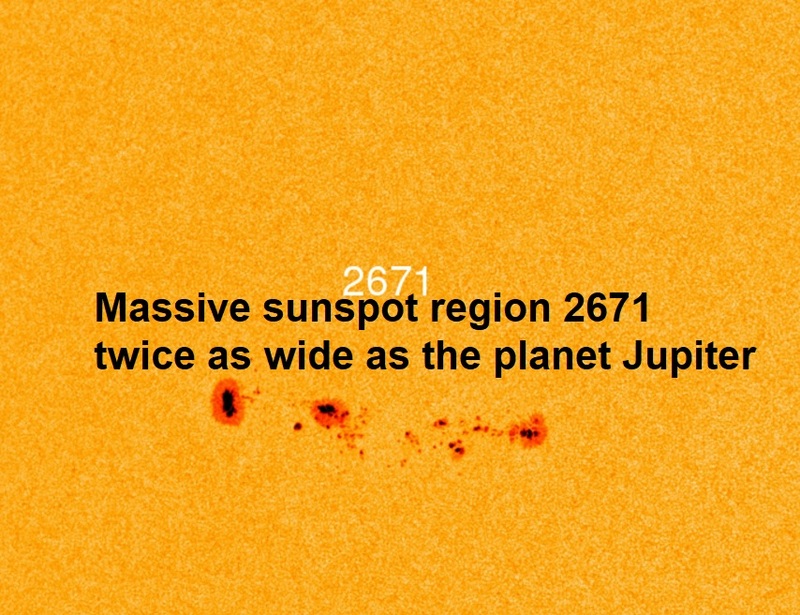 However the M-class flare which came from sunspot region 2672 and a remarkably-long sunspot group which is sprawling across the solar disk, namely, AR2671, which stretches 140,000 miles from end to end, almost twice as wide as the planet Jupiter, our Sun is anything but quiet and should provide quite a show tonight.